The 2018 event, which was also supported by BP, attracted over 50,000 attendees, making it one of the biggest free Pride events in the country. It has also been shortlisted in the annual REYTA Awards in the Remarkable Tourism Event category. Plans are already well underway for this year’s event including Pride in Hull’s most spectacular line-up for the main stage. The festival, which takes place on Saturday 20 July will begin with a huge parade through the city, with creative input managed by the team behind the Back to Ours festival. The parade will be followed by the festival itself, which will see international artists from across the world of music and entertainment performing in Queens Gardens. Karen de Lathouder, BP Hull plant manager, said: “We’re proud to once again be part of Pride in Hull and support our local community. “At BP, creating an inclusive environment for everyone to thrive in is one of our core values. We want to create a workplace where everyone feels respected and included, and safe to be open about who they are. Ben France is the Hull lead for BP Pride, the group which supports LGBT+ inclusion. He added: “Our focus on these topics is primarily to support our employees, make them feel welcome, and ensure they can bring their whole self to work with no fear of judgement or discrimination. The support of partners allows Pride in Hull remain free to attend and for the event to improve year-on-year. It has also allowed the charity that organises the event to expand into other areas of support for the LGBT+ community. 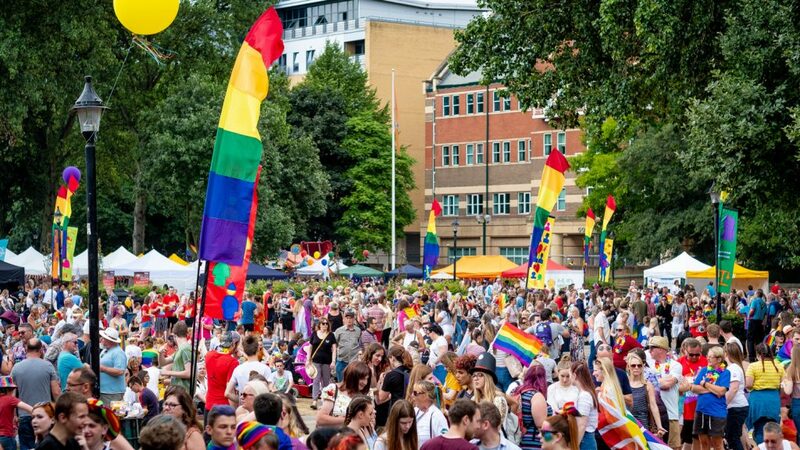 To keep up to date with the latest news about Pride in Hull, visit www.prideinhull.co.uk, follow us on Twitter (@PrideinHull), like our Facebook page(/PrideinHull) and sign up to our mailing list to get the latest news before anyone else! 1 Comment on "Pride in Hull announces partnership with BP"
Could the authors please clarify what commitment to equality BP is fostering and how pride in Hull is relating to it in respect to BPs ongoing human rights violations and environmental destruction worldwide?